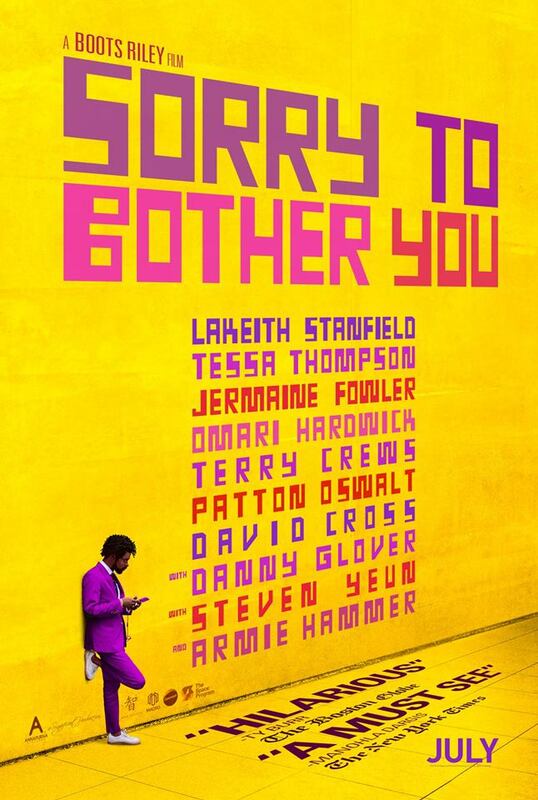 Aaron Neuwirth reviews Sorry To Bother You, a satirical look at the life of a young black man entering corporate America from director Boots Riley. Sometimes it is easy to tell when a new cinematic voice is ready to be heard. 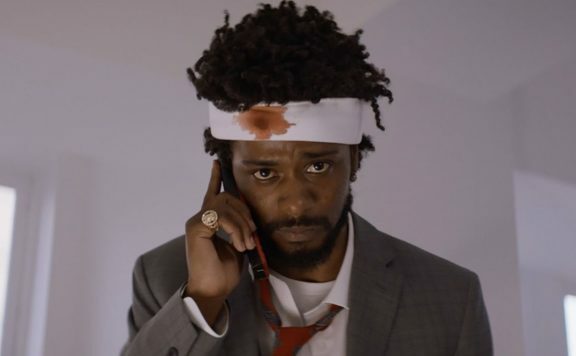 Sorry to Bother You has the benefit of a high-profile cast to keep it from slipping through the cracks, which is precisely what is needed for an ambitious film like this. Because of that sort of attention, the summer of 2018 is about to get stranger. Here’s a film that moves from a corporate comedy to a truly bizarre satire that fortunately never loses focus on its point of view. 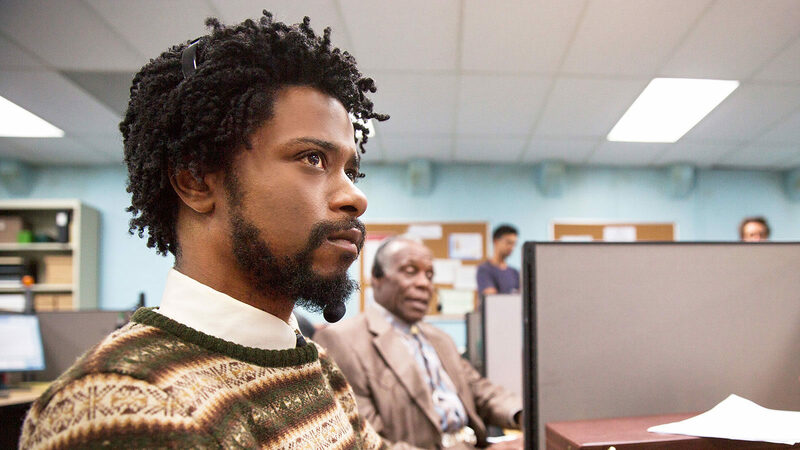 Given the sort of reveals that take place, Sorry to Bother You manages to go to extreme lengths while clearly expressing the modern day challenges the filmmakers are wrestling with humorously. 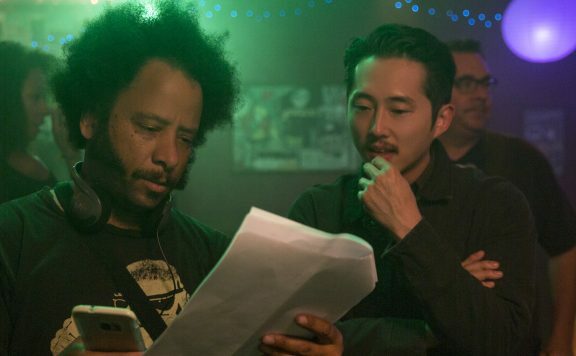 The key filmmaker here is writer/director Boots Riley. Best known as the frontman of the politically-minded hip-hop group The Coup, Riley makes it clear in his cinematic debut as a director that America has all sort of issues and systemic problems that need to be addressed. Going over everything within that realm would be a big ask, so Riley places focus on the desire to succeed in business and what it is that separates both employees of different races, as well as the manner of thinking when it comes to powerful CEOs, compared to working-class citizens. There’s also the matter of figuring out how to survive in a world where money and approval push someone up the social ladder, but at what cost when it comes to personal morality and integrity. These ideas are embodied in Lakeith Stanfield’s Cassius “Cash” Green. Cash is an average guy living a rough life in an alternate version of Oakland. When not expressing existential angst over the nature of his place in the universe, Cash is struggling to find the means to support himself and his girlfriend, Detroit (Tessa Thompson), while living in his uncle’s (Terry Crews) garage. As the film begins, Cash lands a job as a telemarketer. While initially lacking in confidence, a fellow worker (Danny Glover) convinces Cash to use his “white voice” to better establish a baseline with the people he calls. At this point, Riley has already set up the visual style of this film. Calls from Cash find the character being physically dropped in on those he is talking to, highlighting the intrusive nature of cold calling someone, and the awkwardness on both ends of the phone line. An assortment of clever jokes can be seen on all the walls of these telemarketer offices, let alone throughout the real streets of Oakland as well. Adding on a “white voice” (supplied by David Cross and Patton Oswalt, among others who are featured) only further highlights the sort of bold steps being taken to cross the boundaries of a simple office satire such as Office Space to something attempting to be more profound, while simultaneously hilarious. Of course, there would only be so much fun to have if the central gimmick of a black man using a “white voice” to get ahead in business was where things stopped. Even with that in mind, however, Riley plays the long con with the audience, choosing to side with the characters over wild concepts for a good portion of the runtime. I really wondered if the film had any more boundaries to push. That doesn’t stop the sense of visual flair or deliberately exaggerated choices, but for a movie that will no doubt sell the film’s craziness over its ideas, I appreciated the level of slow burn there was, before getting into a truly insane third act. The company has a large effect on the people in Cash’s life as well. Thompson’s Detroit is an artist and activist who participates in guerrilla tactics against the company. Steven Yeun is a co-worker whose efforts as a pro-union organizer eventually rub up against Cash. The same goes for Cash’s best friend Salvador (Jermaine Fowler), who can’t believe what’s become of someone that never seemed inclined to fall for the thrills of being promoted to a new, flashy title. Through all this, Sorry to Bother You layers jokes upon jokes. 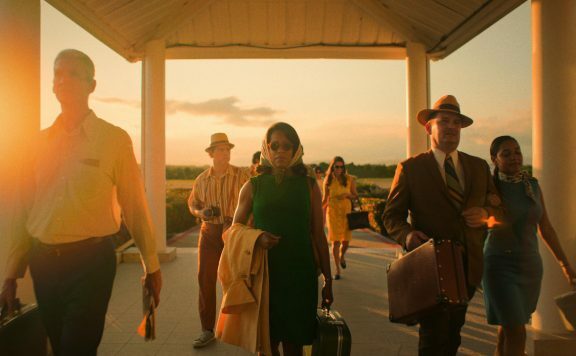 It deftly balances the concept of racial identity against the challenge of the working class fighting against those wanting more power and control, while keeping the audience smiling. Given the commitment of the cast and a proper handle on tone, the film succeeds in making so much of this very funny. 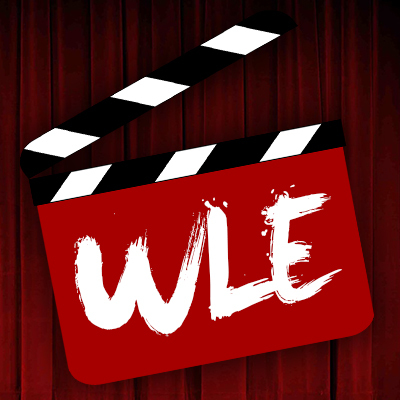 This can be highlighted later in the movie, Armie Hammer arrives to chew up the scenery as Steve Lift, the CEO of the featured company, and adds plenty of fun to this movie, despite being the worst kind of evil businessman. Perhaps it is thanks to the film’s attempt to make his agenda feel reasonable to himself, in its own twisted way, that we can so easily laugh along with his scenes. As the film carries on towards an ending where chaos arrives in the most unpredictable of ways, it continually feels apparent at how much disdain Riley seems to have for modern culture. Between his take on the type of TV show that would be popular and a very realistic portrayal of what people would think by the time certain huge reveals are made, the sense of understanding our current population is both darkly humorous and sadly true. It also makes the film better for staying as real as it can amid absurdity. 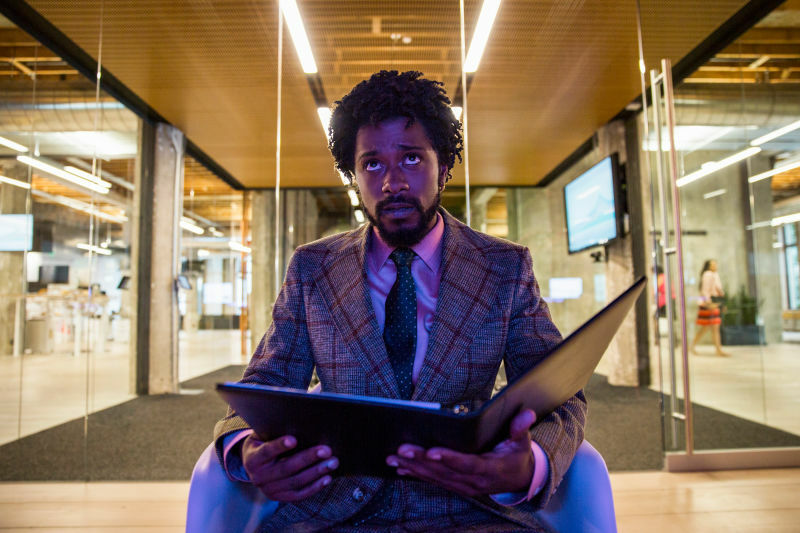 Sorry to Bother You sometimes strains under the pressures of many obstacles that are tough to clear for first-time-directors, but there is clearly a fresh voice coming from a filmmaker finding his footing rather quickly. Stanfield is terrific in taking on the position of a black man caught up in an extraordinary position thanks to the film’s ability to properly channel his usual quirky sensibilities. He’s aided by a strong supporting cast in all of this as well, helping to build a wild sense of community in a film that has so much on its mind to express. Fortunately, Riley has found success here, which may mean he will be able to bother folks again with another woke project. Sundance 2018 Review: ‘Sorry to Bother You’ is the Most Original and Ambitious Film of the Year.